← Which should you prefer generic or brand-name drugs? Purchasing medications are not common. It is not a part of our regular daily routine. So when we are required to buy a drug for ourselves or for someone else, we feel like kids buying toys in a shop for the first time. We do not have any idea whether they will be giving us the right medicines. Normally, we would just ask whether a certain medication is available or not. And when the drug is available in the Pharmacy in Palm Harbor we inquired in, we opt to buy it immediately. But this should not be the case. There are other salient points we need to know about the medicines we buy before putting out our cash and paying for them. What is the name of the drug and the reason you are taking it for? Other than the fact that we should know the details of whatever drug we intake, we should take note of both the generic name and brand name of every drug we purchase for future references. Some of us do not just stick to one physician and we should tell the next doctor about the names of the drugs, herbal remedies, supplements, and vitamins. Keeping a list of the drugs we take is not enough. We should also write on this list the reasons why we are required to take these medications. By doing so, we could help our future doctors to accurately assess our current health status and to determine possible effects of other drugs which they might require us to take. The efficiency of the results which we expect from the drug would depend on how we religiously follow the instructions of our physicians or the pharmacists. If we do not follow the prescribed schedule, we might just be spending for nothing. Thus, when buying medications, we should never fail to ask how often we should take the drug and whether we should take it after meals or with an empty stomach. When should you stop taking it? Abused and misused medications come from taking drugs longer or shorter than the prescribed period. For instance, antibiotics are supposed to be taken at a specific number of days. When you fail in following the required number of days, it will probably be unsuccessful in eliminating the bacteria in your body. Although some patients feel relieved instantly after taking a few dosage of medication, one should not stop taking it right away. We should follow the orders of our doctors and if ever we badly want to stop taking it, we should seek our physician’s approval first. Medications are supposed to make us feel better and that is the ultimate reason why we buy them. Nonetheless, if we do not follow necessary precautions before and after taking it, we might just end up in trouble. So the next time you buy medicines, make sure to ask the enumerated questions from St. Mary Pharmacy’s pharmacists as a precaution. 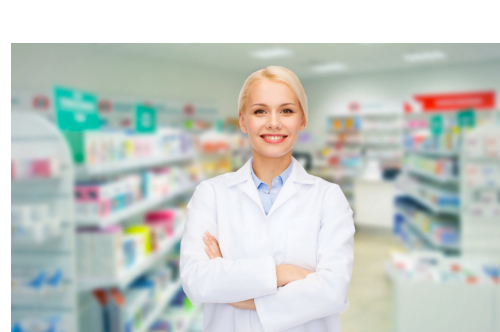 This entry was posted in Pharmacy Services and tagged 3 Questions you Must Ask When Buying Drugs, compounding pharmacy, expectations from a pharmacy, misused medications. Bookmark the permalink.